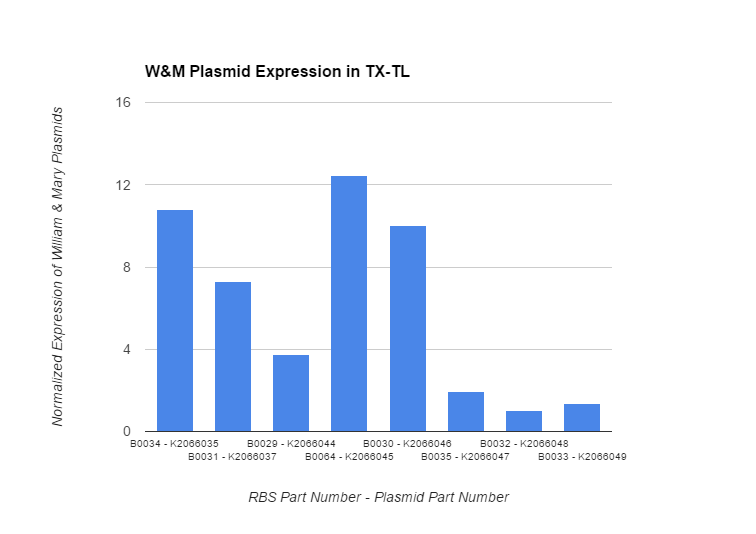 The Alverno_Ca team characterized BBa_K2066046, which includes BBa_B0030, as well as a series of other plasmids using TX-TL, a mean of in vitro transcription and translation using cell extract. 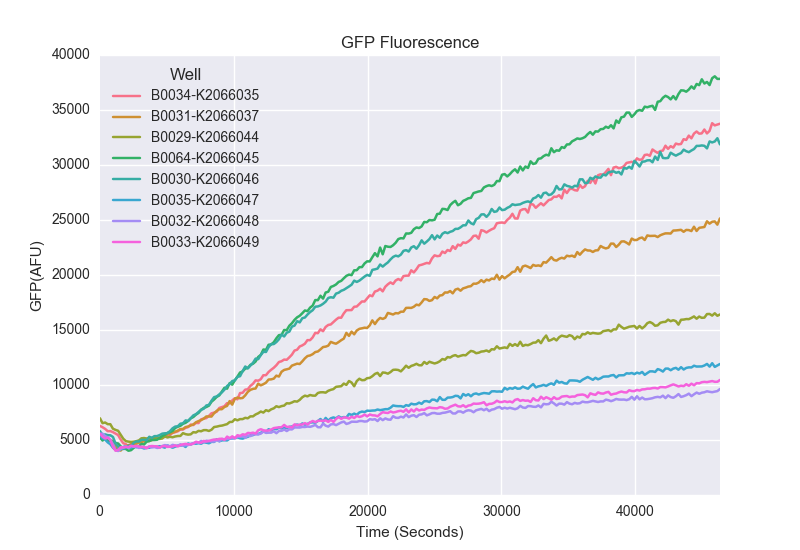 Below is a graph of normalized expression of BBa_K2066046 in comparison to the other palsmids in the sequence. 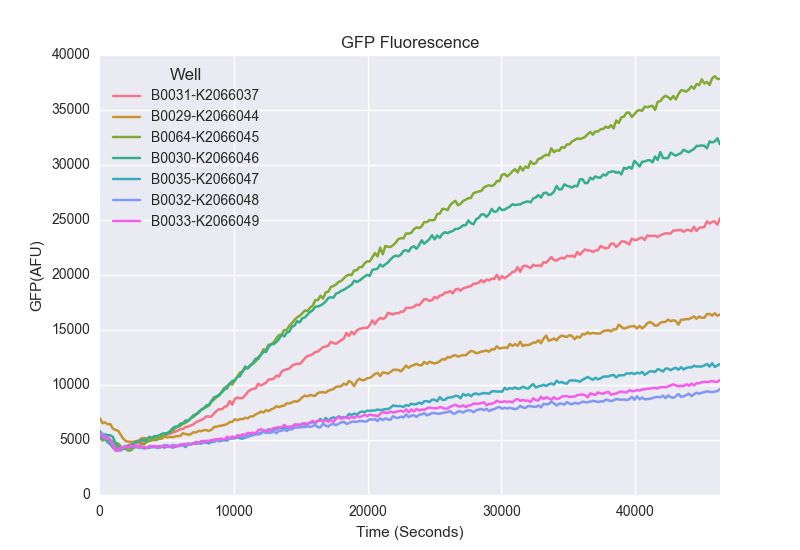 This graph shows the fluorescence of the plasmids, over a period of 12 and a half hours, in a plate reader. " We characterized the strengths of the Anderson RBS library. This review comes from the old result system and indicates that this part worked in some test. The miniprep, single and double digests all worked. However we did not use this part for further cloning. See Experience page of BBa_B0034 for more details. We improved this RBS by adding a promoter function in Bacillus mageterium.